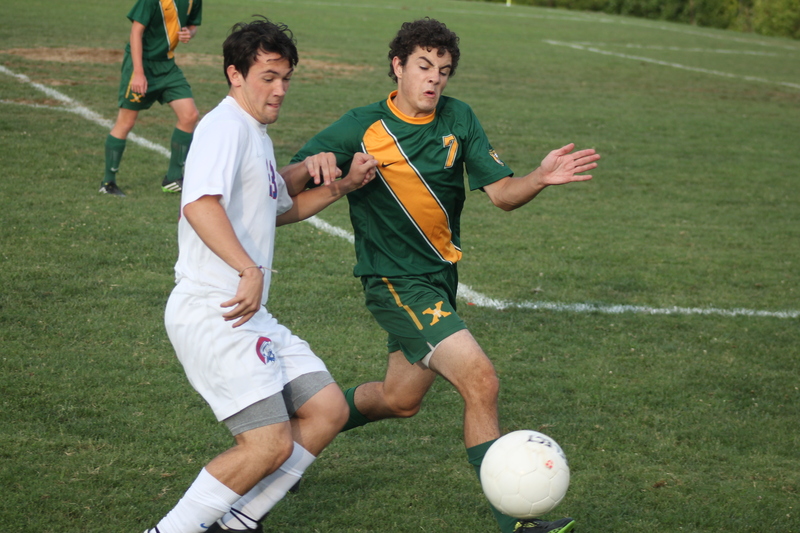 The Tiger Soccer team kicked off their season Tuesday night, but it didn’t go the way Tiger Nation wanted. After tying the Bruins the last couple of years, Central Hardin defeated the Tigers 3-0 in the season opener. Central Hardin struck early, as they scored their first goal in the 7th minute. After that, the Tigers were desperately trying to catch up, but they still trailed 1-0 at halftime. In the 58th minute, it had looked like the Tigers had caught up, but their goal was waived off due to an offside penalty. The Tigers also had a shot hit the crossbar and a shot that barely missed the bottom right side of the goal. Seven minutes later, Central Hardin took advantage of a free kick opportunity and scored their second goal of the night, increasing their lead to 2-0 in the 65th minute. The Bruins scored their third and final goal of the night in the 75th minute to make the final score Central Hardin 3, St. X 0. Tiger players out: Colin Kremer, Davis George, Nick Eimers, Andrew Schnurr, Graham Reynolds, Patrick Hall, Ian Wahldrop, and Lucas Mudd. Posted on August 19, 2015, in Tiger Soccer. Bookmark the permalink. Leave a comment.